David Lee, PF 35 MIN | 8-19 FG | 0-0 FT | 7 REB | 4 AST | 1 STL | 0 BLK | 2 TO | 16 PTS | +9Lee quickly picked up where he left off from the road trip, going 5/7 in the 1Q for 10 of his 16 points. He offensive production dipped just slightly — he was averaging 22.7 PPG, 10.1 RPG, 3.0 APG on 68% shooting on the road trip — due to Iguodala’s aggressiveness, but hardly minded. 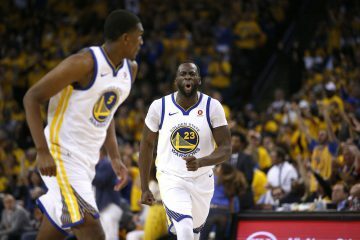 The entire team was still running on fumes from the road trip and are eager to finally have a substantial break –their next game isn’t until Wednesday against Denver — and Andre’s aggressive play on the offensive end was exactly the spark they needed to inch over Boston. The final play of the game was a pick-and-roll with Lee and Curry, and Boston surprisingly switched instead of trapping Curry above the three-point line. Lee said postgame they expected Boston to trap and have the 4-3 advantage on the other end of the floor, but no need. Lee set a great pick on that final play and adds another productive night under his belt. If Lee was playing like this the entire season, there would be two Warriors heading to New Orleans. 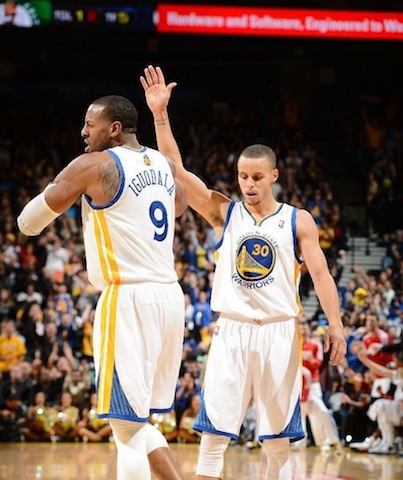 Andre Iguodala, SF 38 MIN | 9-14 FG | 2-3 FT | 5 REB | 7 AST | 3 STL | 0 BLK | 0 TO | 22 PTS | +10Iguodala’s best game since coming back from injury came at the perfect time. 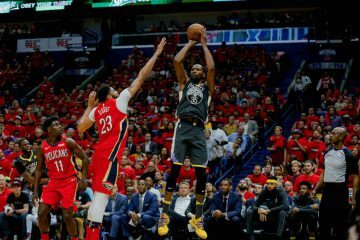 Tired, drained, exhausted; any and all synonyms of the former could properly describe this Warriors team on Friday night. 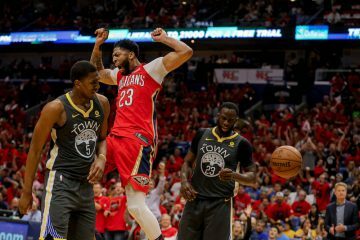 Andre might not be 100%, but was the aggressive force the Warriors saw in the first round of the playoffs last season. Jackson continues to call him a “playmaker” and that’s what makes him great, he doesn’t have to score to be productive. He’s right, but on a night where everyone was cold for the majority of the game, Andre stepped up and hit shots. Iguodala was somewhat shaky on the defensive end, but that could’ve been simply the greatness that is Jeff Green (please catch the irony), who hit anything and everything. He won’t be asked to dominate offensively like he did Friday night very often, but it’s a fantastic reminder of how he can control the game by his scoring. 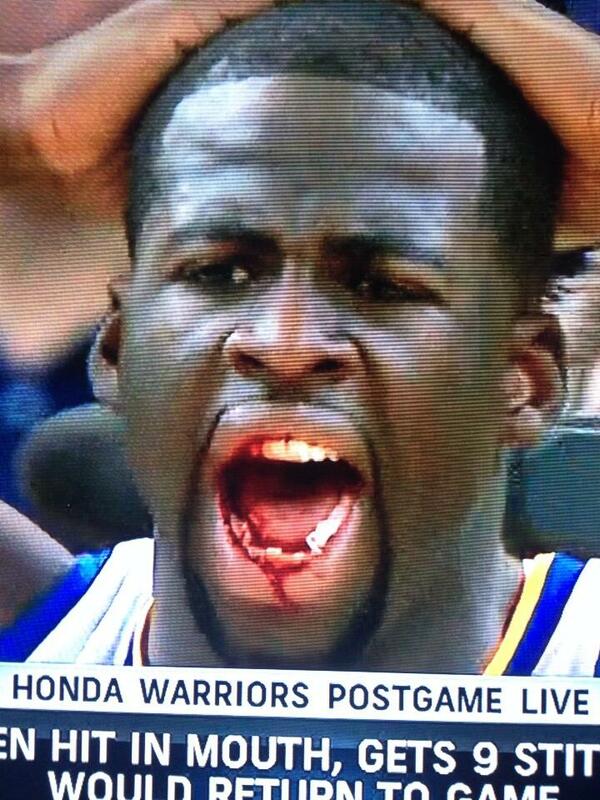 We haven’t seen much of this from him in a Warriors uniform. Andrew Bogut, C 28 MIN | 2-6 FG | 0-0 FT | 13 REB | 3 AST | 0 STL | 0 BLK | 0 TO | 4 PTS | +5Bogut had recorded four straight games with a block before that streak was snapped Friday night, but when you lead the team with 13 rebounds the team shouldn’t mind. His absence from late game possessions is befuddling, but winning cures all and in only 28 minutes tonight contributed with a very Bogut-esque line. Jackson simply prefers a smaller lineup (Curry/Thompson/Iguodala/Draymond/Lee) in those situations. As stated numerous times before, Bogut has looked fantastic this season and his limited minutes will only pay dividends once the playoffs begin. Stephen Curry, PG 40 MIN | 7-18 FG | 2-3 FT | 7 REB | 4 AST | 1 STL | 0 BLK | 4 TO | 19 PTS | +5I’m probably a harsh grader. Curry hit the game-winning 23′ shot with 2.0 seconds left to put the Warriors ahead and give them the victory. He had to face a great on-ball defender in Avery Bradley, which can attribute to his off-night from the floor. Curry’s eerie shooting continues as he has careers lows in FG% (44%), 3PT% (39%), FT% (87%) and turnovers (4.4). Yet he carries the highest +/- in the league (due in large part to the inept bench). 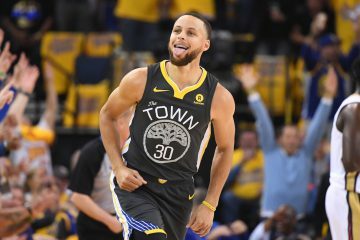 Here’s an odd stat courtesy of Jim Park of Sheridan Hoops: the Warriors are 13-0 when Curry scores less than 20 points. I can’t explain it either, and Curry will represent the Warriors as a probable starter in New Orleans for the All-Star Game. Despite the odd shooting numbers, Curry is having the best complete season of his career. There’s not much to complain about — especially coming off a game-winner — but the rest will due Curry some good. Klay Thompson, SG 41 MIN | 5-17 FG | 4-4 FT | 1 REB | 1 AST | 0 STL | 0 BLK | 1 TO | 17 PTS | +8Thompson forced the issue early, chucking and chucking without any shots dropping. He was 1/6 in the 1Q and was on his way towards one of his least productive outings in quite some time. He came back and drained two threes in the 2Q, made a couple more shots later and went to the line twice to salvage his line. Defensively, the Celtics aren’t known for their backcourt scoring, but Thompson and Co. limited their starting backcourt to a 6/24 night. Even on off-nights he’s finding ways to be productive, something we could’ve have said a lot last season. Looking ahead: The Warriors are now off until Wednesday night when the face their old friends the Denver Nuggets. This will be the first time Denver has played in Oracle Arena since Game 6 of the first-round last season. The team then heads back on the road for a difficult B2B with Oklahoma City and New Orleans on Friday and Saturday. #FullSquad gets the lead. Unfortunately #FullSquat will probably give it right back. David Lee brought up #FullSquad at the end of his interview session. “Hashtag,” said Stephen Curry from about 15 feet away.